I have the privilege, through my church, to be a part of a wonderful organization of women. My calling, or "job", in my church is to help organize meetings for the women every few months. Mostly they are service nights, craft nights, or other worthwhile activities. Once a year, in the summer, we have a Social. It's just that. A time for all of the sisters to get together, relax, talk, and enjoy each other. This year we decided to do a Mexican Fiesta, and I, of course, volunteered to do the food. Let me show you what we ate! We made 3 kinds of chicken: all in the crockpot. 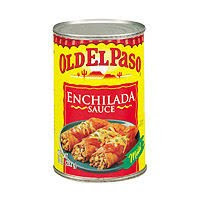 Enchilada Chicken: Add Chicken to crockpot, pour sauce over, cook! 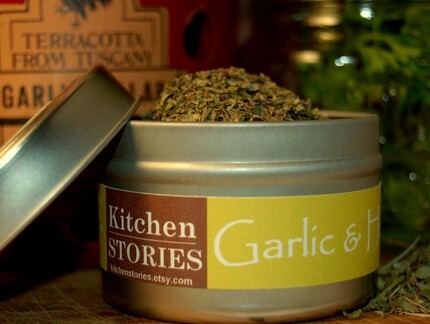 Add chicken to crockpot, add this SALT FREE herb mix from Kitchen Stories, and cook! This was the most popular! We made a batch of plain, cooked hamburger- some of our ladies have allergies! We also made this wonderful Taco Meat recipe from Mels Kitchen Cafe. Try it! You'll enjoy it! For sides, I whipped up a batch of Balsamic Black Bean Salsa (my new favorite party recipe), Pioneer Women's Resturant Salsa, and a batch of Mom's Salsa for the mild folks. What was really good though, was my Guacamole! I think I got more compliments on that then on anything else. I really wish I had a picture of this. Just imagine smooth, creamy guacamole. I didn't make my Perfect Guacamole because of the allergy issues. Plus, I figured I probably should make something a little less spicy. Costco has really great Hass avocados right now. Use those! Mash the Avocados in a bowl to your desired consistency. I prefer this recipe nice and smooth. Add a large dollop of Sour Cream, and mix. Then, sprinkle the rest of the ingredients over the top of the guacamole. Mix in. Taste, and adjust seasonings as needed! Tip: Store guacamole in fridge. Place plastic wrap DIRECTLY on the surface of the guacamole to prevent it from turning brown too quickly! We had a great drink as well... recipe coming soon! All in all, it was a terrific event! We had little party favors, and one of the ladies made a guitar pinata! Wow, everything sounds delcious. I love crockpot meals so I will be bookmarking these. I also love PW's restaurant salsa. So quick and yummy! Stopping by from SITS! That sounds SO good! I'm a little nervous with my crockpot. I've only made one thing and it came out...special. Maybe I should give it a try though. Give it another try Divine. These "recipes" couldn't be easier. Just stick in the chicken breasts (even frozen! ), pour over the sauce or herbs, and cook on high for 5 hours. Then, shred the meat, and cook for another hour or so! I love everything mexican, especially guacamole! Can't wait to try your recipes! !